Blackmagic Design Pocket UltraScope TVTEUS/USB3 world's first scopes designed for editors and colorists, with the technical accuracy broadcast engineers will love! There's two great models of UltraScope designed for your needs. The amazing UltraScope with SDI and optical fiber SDI for PCI Express computers and the new portable Pocket UltraScope with SDI and USB 3.0, perfect for notebook computers! If you're tired of hard to use and ugly waveform monitoring, then you'll love Blackmagic UltraScope. We have included all the features you need when editing or color correcting, and then, combined it with an elegant user interface that looks great when added to your studio! Simply plug into any compatible Windows™ computer with a 24 inch monitor, and Blackmagic UltraScope will display 6 live scope views simultaneously! 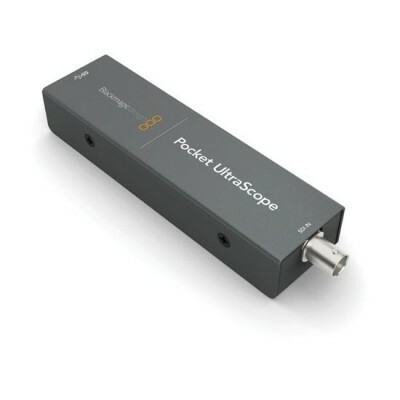 UltraScope is engineering accurate and includes 3 Gb/s SDI plus 3 Gb/s optical fiber SDI. 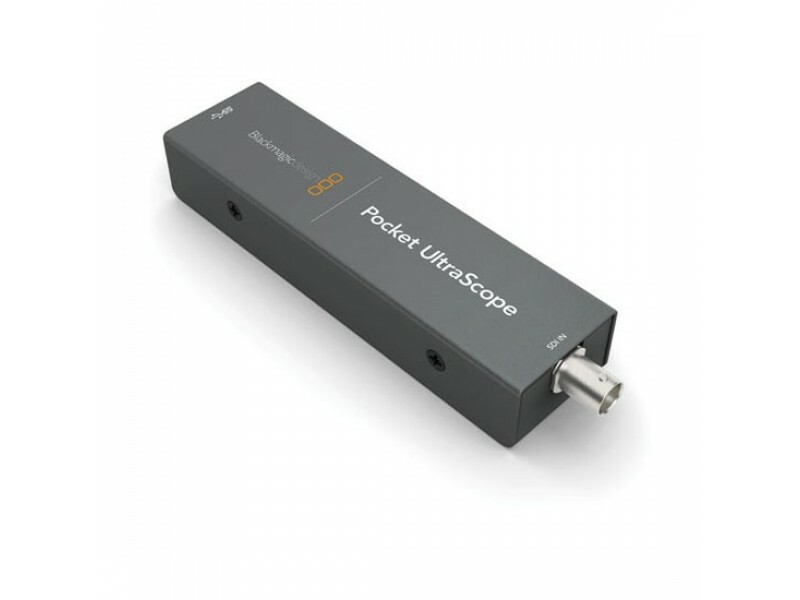 The new Pocket UltraScope plugs into USB 3.0 computers and is perfect for portable notebook use, and it even powers via USB from your notebook battery. High end post production and television engineers have known for decades the benefit of using waveform monitoring not just for engineering, but operationally in color correction and editing workflow. From color correction to matching black levels when keying and overlaying video, only waveform monitoring lets you keep track of what's going on, and helps you eliminate illegal colors, and other problems that could cause your work to be rejected by broadcasters.